MCP25625 click is a mikroBUS™ add-on board carrying a Microchip CAN controller with an integrated transceiver. It meets the automotive requirement for high speed operation (up to 1 Mb/s). 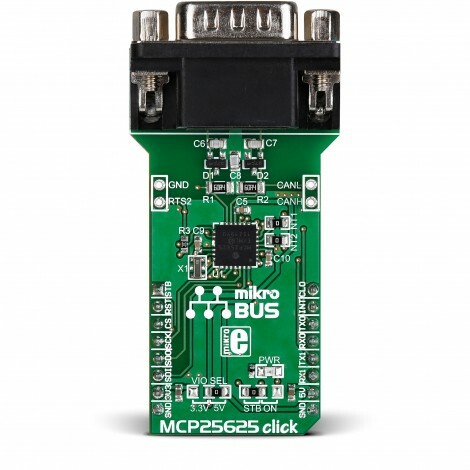 Named after the main chip, MCP25625 click also has a RS232 port, which is a standard connector for CAN communications. 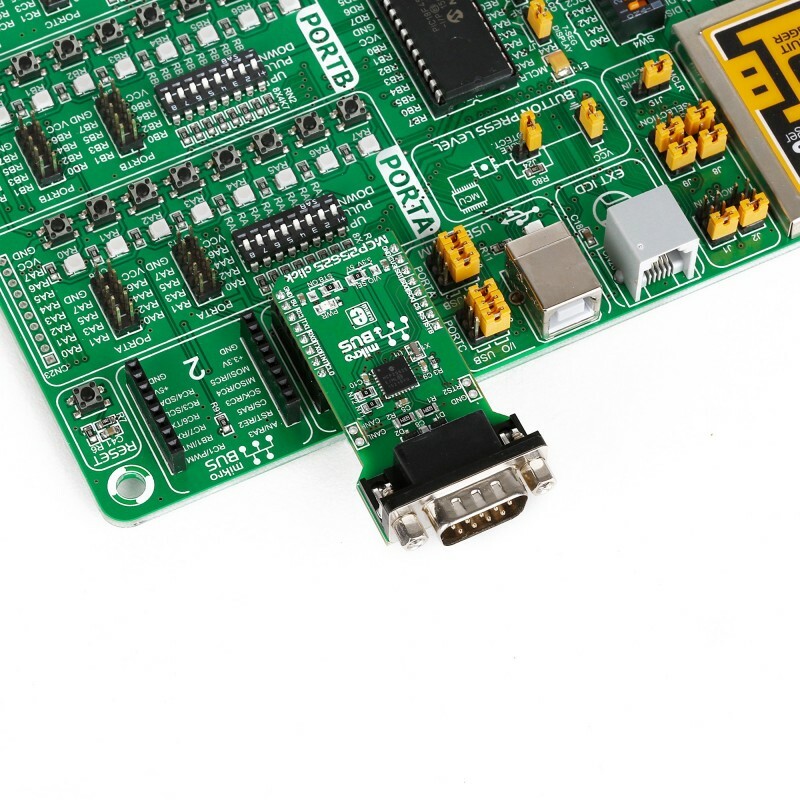 Additionally, the two CAN wires (CANL and CANH) can also be connected directly through two pins on the right edge of the board. 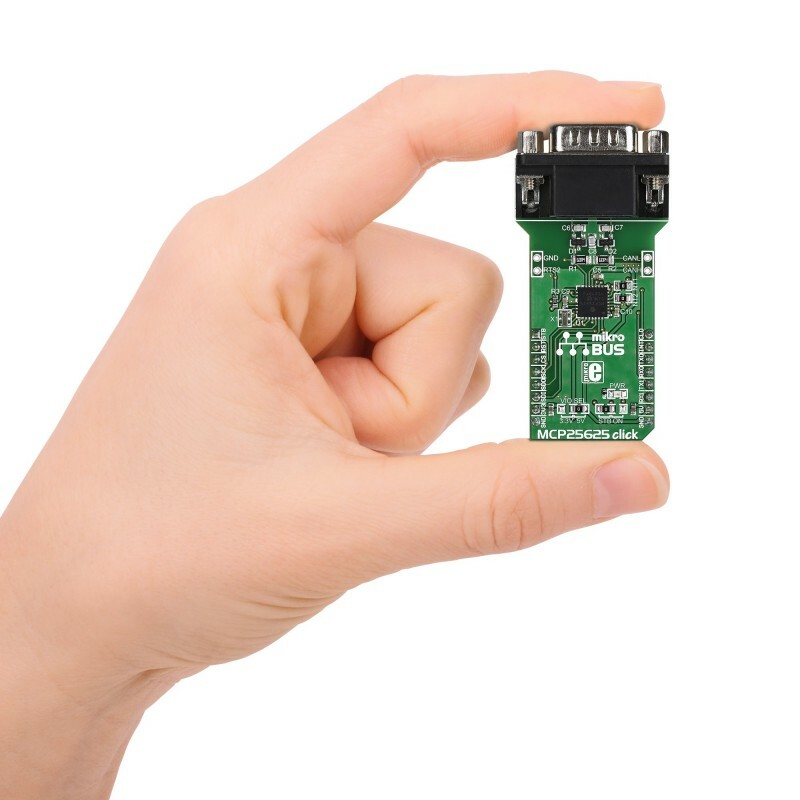 The click communicates with the target MCU through the SPI interface — although there are additional options that take the load off the target board MCU. 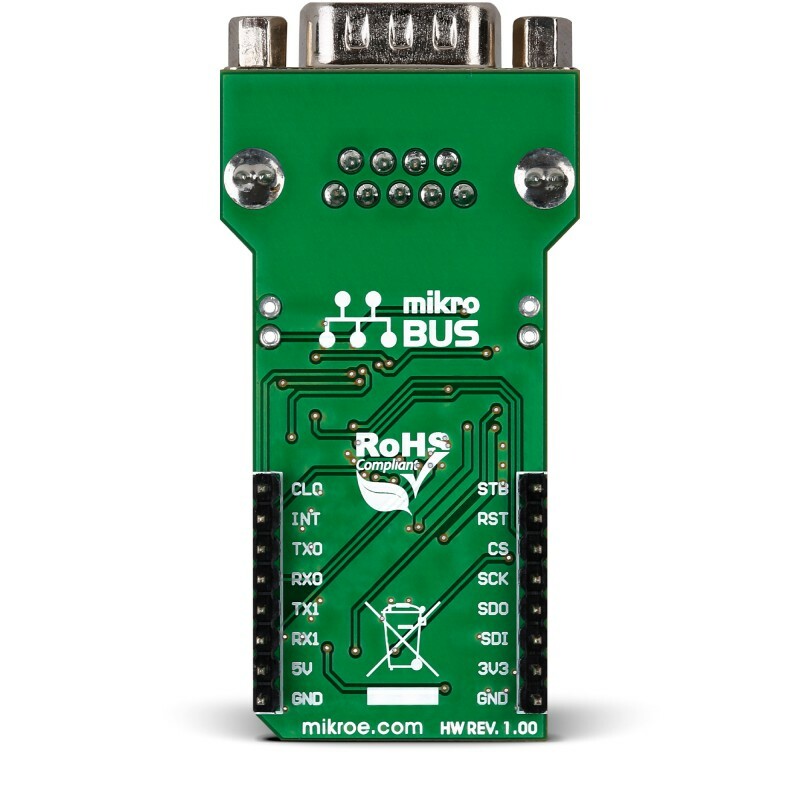 To that end, all 16 mikroBUS™ pins are connected. There’s a clock output, a Request To Send, an Interrupt, standby, reset and more. MCP25625 click can work with both 3.3V or 5V logic levels. MCP25625 click has two pairs of onboard jumpers (zero ohm resistors). One is for choosing the IO voltage. The other is for configuring whether the STB pin will be used to control the click’s operating mode (normal or standby), or if it will go into normal mode as soon as it’s powered up. The following code snippet shows how to change the device's operating mode and checks the status register for confirmation. Code examples that demonstrate the usage of MCP 25625 click with MikroElektronika hardware, written for mikroC for PIC are available on Libstock.